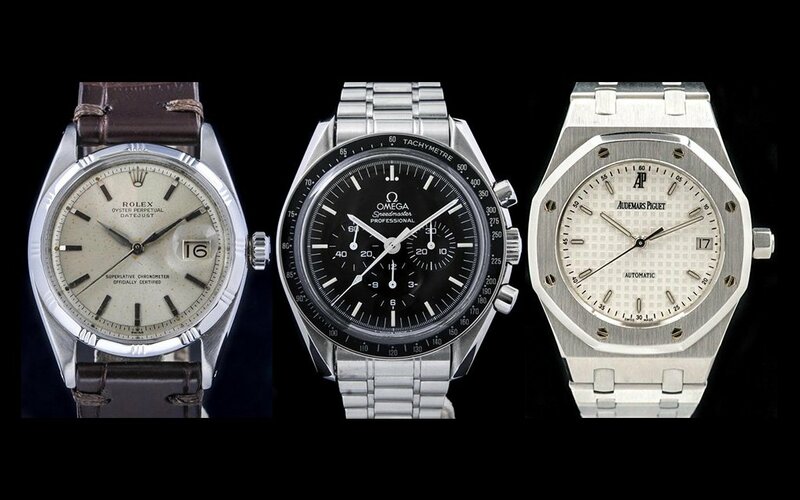 Like vintage watches? Head to Craft & Tailored’s new digs. From a distance, the restored Art Deco building at 433 South Spring Street looks like it should house a lofty financial or legal institution, with important offices hiding behind frosted glass doors and a cacophony of typewriters providing the soundtrack. 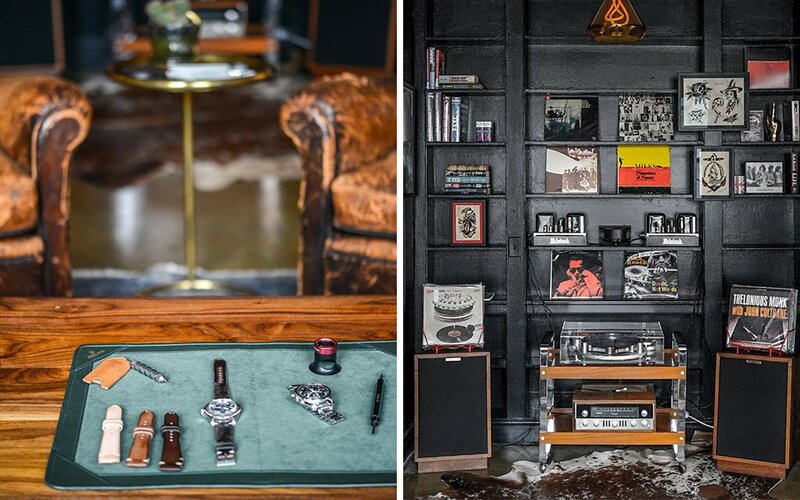 C&T, for the uninitiated, is one of L.A.’s best vintage watch purveyors, having just opened their first brick and mortar — at 433 S. Spring — after existing as a virtual dealer for the past eight years. Everything within the space has been considered, from the sign on the door — hand-painted with 22k gold-leaf inlays by a master sign maker — to the vintage espresso machine to the ephemera decorating the library where the watches are shown. “Whether you’re there for your first watch or your tenth and spending $100k, we wanted to create an experience that’s more than just watches,” says Barr. 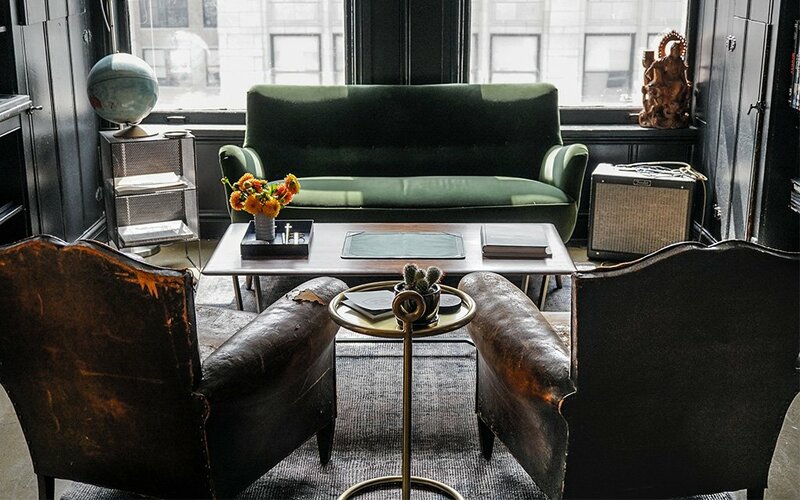 To do this, they maintained the previous tenant’s library, replacing the law books with vintage items that helped inspire Rolex and Omega’s designs. 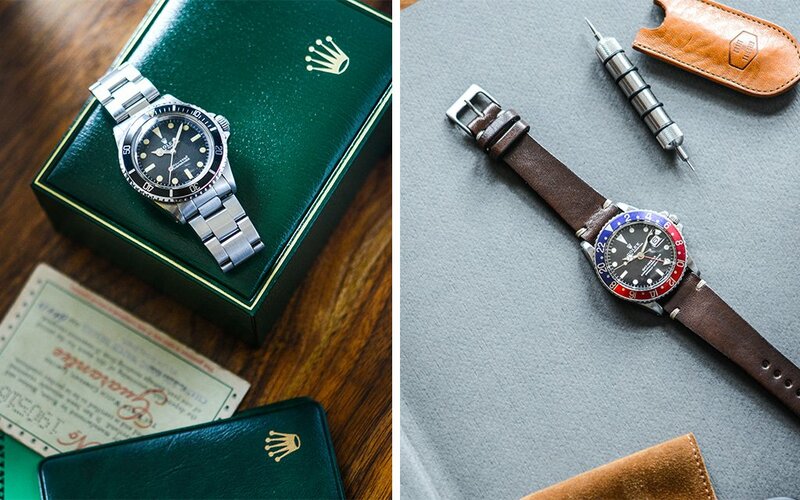 There are shelves dedicated to astronauts, car racing, scuba diving (like a ‘60s divers helmet from a Rolex Submariner display) and, of course, images of iconic watch-wearers like Steve McQueen and Paul Newman. Because they can only keep up to $1.5M in watches on site, much of their vault is housed off-site, as are their restoration services, though a watch technician works out of a room next to the library. In the future, Barr hopes to provide servicing for vintage collectors. In the meantime, make an appointment. Barr and his team can regale you with their encyclopedic knowledge of watches — like how to spot a fake, or why a Rolex can cost $375K. Plus, they’ll serve a damn good cup of espresso. Even if you don’t plan on buying a watch that requires a second mortgage.